I recently looked at a few blogs where the blogger was describing that dream we have all had – to have their own smallholding. It made me think how we approached the smallholding we have, how we got here and the triumphs and mistakes we made. I thought I would do a post in the vain thought it might interest anyone out there! We started in 2006 with growing veg in planters, moving on that year to an allotment. For us it was about growing food that we knew where it had come from. After a successful first year with an allotment (we had our first eatable veg – a squash – in the first 6 weeks of us getting it) we dug up our garden and built raised beds. Our approach was to investigate, read up about, visit examples and then apply our newly found knowledge. We stuck to our guns – we were the only people on the allotment site that had divided their plot into lazy beds (raised beds without wooden sides) and they all looked and thought we were mad! But it worked for us – 20 minutes to weed a bed, an hour to cut the grass paths and surrounds (grass is a good weed suppressant), it worked to the time we had around work etc. We then got some chickens – just two, Hinge and Brackett. We learnt they were not hard animals to keep (an important point) and were rather intelligent with personalities. Giving eggs is also a great way of making friends! So you get to that point – almost self-sufficient in veg (and very proficient at freezing, pickling and canning surplus) and a stock holder – two chickens. Where do you go from there? There are two dreams you can have from here – get more land and be a pure hobby farmer/smallholder/self-sufficiency bod or look to turn a dream to a business. It’s a difficult one, and yes can you do both? I’m not sure. Originally I was the first type – I wanted to be self-sufficient, free on my own land, able to lock the gate and ignore the world. However we planned, and planned and planned whilst we looked for a dream location. Planning took the form of buying, whilst we had an income all the equipment we thought we would need – the rotavator, a generator, a small compact tractor, weeders and seed planters, fruit cages and tools. Get the very best stuff you can afford. Just a word on income – always assume that your present income will not last – that if both of you work, what happens if one suddenly does not you need to keep hold of your smallholding/dream once you have got it. Back to cost of set up. We wanted to be self-sufficient in heat and hot water. A cost had to be bourne to install a wood burning Rayburn and a stove both connected to the central heating. A further cost for the solar panels (although that is more an investment with the government FIT subsidy). It all mounts up and you haven’t even looked outside yet! An interesting point about being self-sufficient in heat and hot water – it is actually really useful to continue to have your system attached to an oil or gas boiler – for those times when a quick 1 hour heat will be enough. Wood burning only starts to get efficient after the first two hours – up to that point you are burning quite a lot to get it up to speed. So you see, those times when just an hour heat is enough, wood burning is a bad choice. Once your on site do not under-estimate how much it costs just to stay still. if you have stock, there is fencing (always), you will have to replace all your fencing, repeatedly (we have a replacement programme – and we do it ourselves – we can do it cheaper and as good as a professional). It’s a time (if you do it yourself) and a large continual cost. There are annual vet costs – you can’t take your stock to the vet, you have the honour of paying them to come to you – before they even start to treat your animal. That cost is every year, usually you can mitigate by self medicating the animals, depends on your relationship with the vet – but still vet bills should be factored as an annual repetitive cost. There is a cost in getting willow sets – to start planting willow to become self sufficient in wood – that wood you burn doesn’t grow on trees you know! 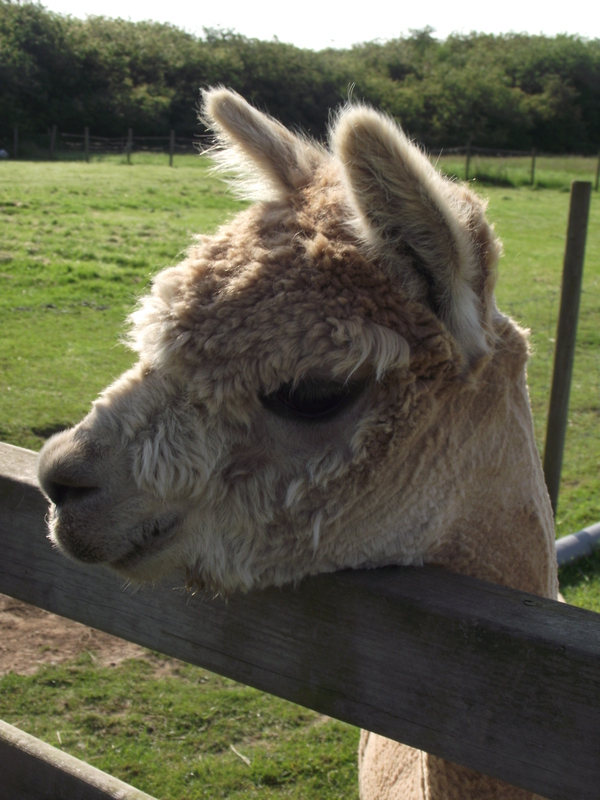 Setting up a herd can cost a lot – our Alpacas cost several thousands of pounds – a good sheep could cost a £100 and a stud ram much more. Chickens these days are £20-30 each. And don’t forget if it’s got a fleece it will need annual shearing – getting a shearer in will cost a few quid each sheep – but anything else could be £20 plus each. And yes, you can do it yourself – if you have the time from everything else you have to do. And then there is the unexpected event – we have just had to change out chicken enclosure to remain compliant to the DEFRA bird flu directive – that’s was £400 and a lot of time, and no choice to not do it. There is a good algorithm you need to keep in mind – the cost of getting a professional in to do the task at hand vs the time it would take you to do the job to that standard. Work this out on all things that need doing, it is justifiable to get ‘someone in’ and on some things it is worth doing yourself. And then there is the mortgage – the bills, the council tax. Pure self-sufficiency is a con – it can’t be done because the outside world requires it’s pound of flesh on an annual basis. My point is – when you find your dream location, don’t push your finances to far – it costs a lot of money to run a hobby farm, paying the mortgage off can mean a lack of working money – and that reflects on animal care and your ability to achieve your dream. If you feel you have a business case – holiday lets or B&B don’t forget to include the costs I’ve listed above in your calculations, and good luck to you. Consider buying ‘down’. Get a place that is not a wreck, but a doer upper – it will be cheaper (i.e less mortgage/less council tax) and you make it what you want. Where are we at the moment? Surviving. But we need to take the sufficiency we have and improve it. And we do need to look at how we can monetize the land we have – you can’t shut the door and ignore the world. Ah, but you have some freedom! I admire the work – and know that I could do it but I’d hate it. I still need time for hobbies and golf – but really respect what you’re doing. Interesting, “smallholding” is a new term for me. Thanks as always for your sharing.